Have a budget and looking for a car? Then we're gonna to look into the available cars for sale in Malaysia! 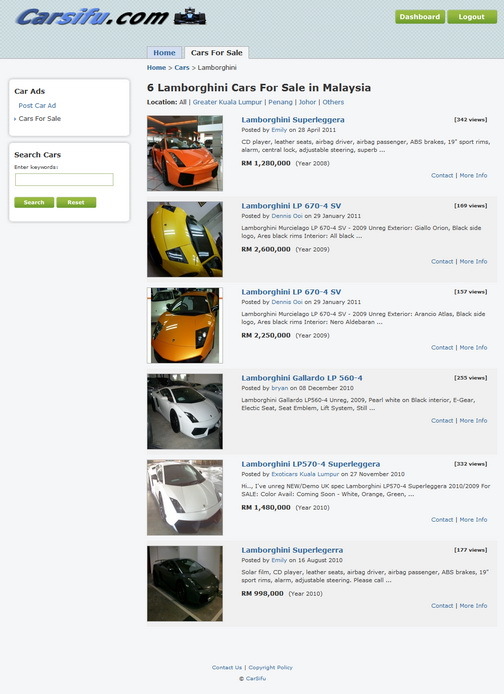 There is always a marketplace for different kind of demands, new cars, second hand cars, used cars. Take a look of what CarSifu has for potential car buyers. 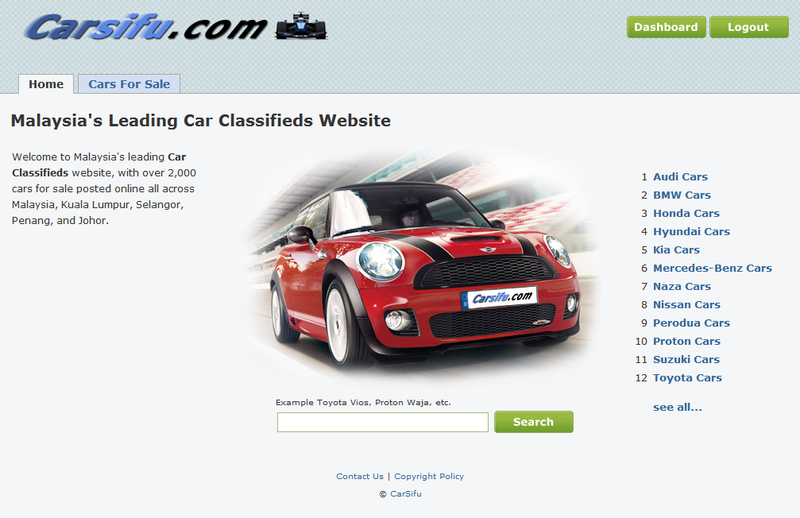 It's a simple and neat online classified for both car sellers and car buyers. 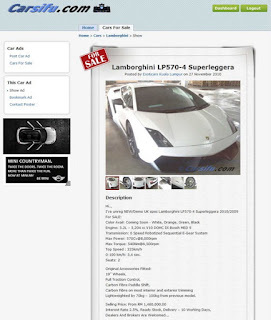 Let's checkout what kind of car deal is available in CarSifu, does it have something like Lamborghini ? (Some kind of sport car that I like). It yields the following results. You might say the web design doesn't look fancy, but as long as it has the thing we're looking for, it's good enough. Apart from a the general overview of available cars, (it does have a wide range of cars, from luxurious car Audi, BMW, Ferrari, Mazda, Alfa Romeo, to Ford, Kia, and to Proton and so.) We can get some additional details when we clicked on the car. 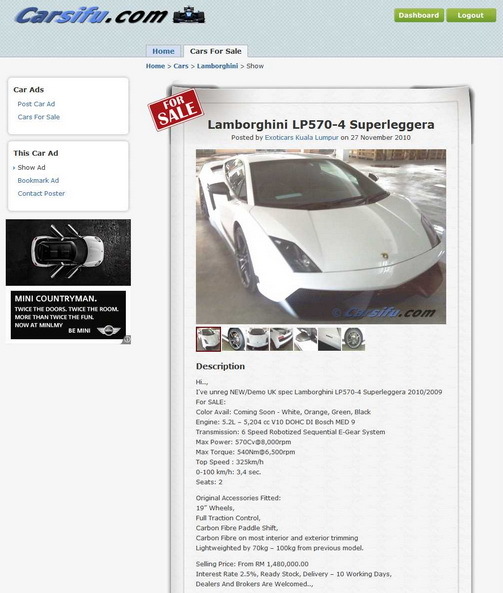 Most of it, shows several additional photo, description of the car, condition, year, and also seller contact information. For some cars which are more commonly available, such as Proton, it would show an additional panel on the left to further refine the car type selection. At least doing a search in Carsifu is fair enough to get you to what you're looking for. Not to forget to mention, you may find 'Carsifu' facebook page as well, if you're interested to follow the latest news and classified! At least doing a search in Carsifu is fair enough to get you to what you're looking for. Not to forget to mention, you may find 'Carsifu' facebook page as well, if you're interested to follow the latest news and classified!